I just love tattoos and I would love to get more whenever I get the chance and the funds because damn they are so expensive. I first got a tattoo way back when I was 18 and since then my tattoo collection has slowly grown over the years. Growing up I never thought I wanted tattoos until a friend recommended to get one. I did eventually just go for it and since that day I knew I wanted more tattoos and I did get a few more since then but I do have many more planned for the future. 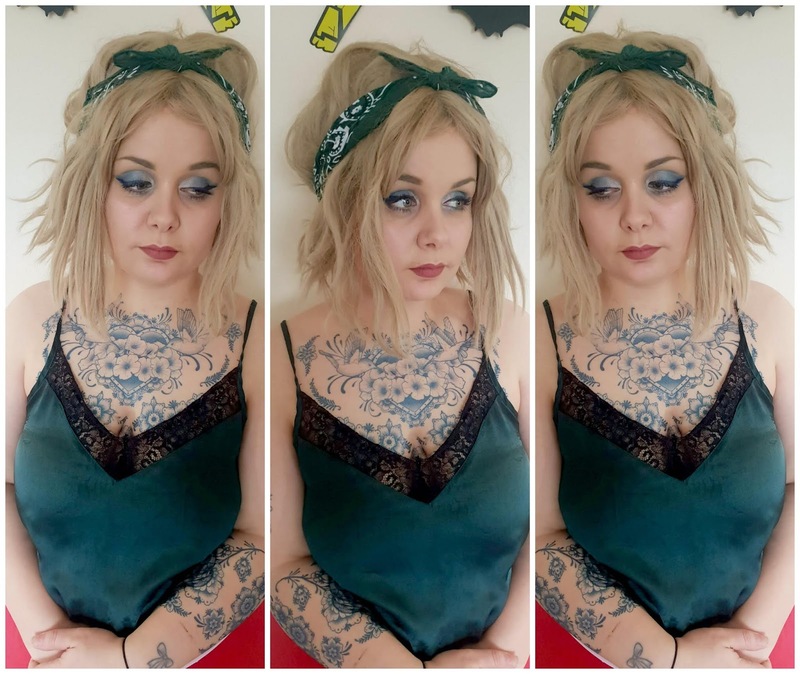 I was kindly sent these fabulous Tattooed Now realistic tattoos and my goodness their site and social media impressed very much, so I couldn't wait to try them out for myself. 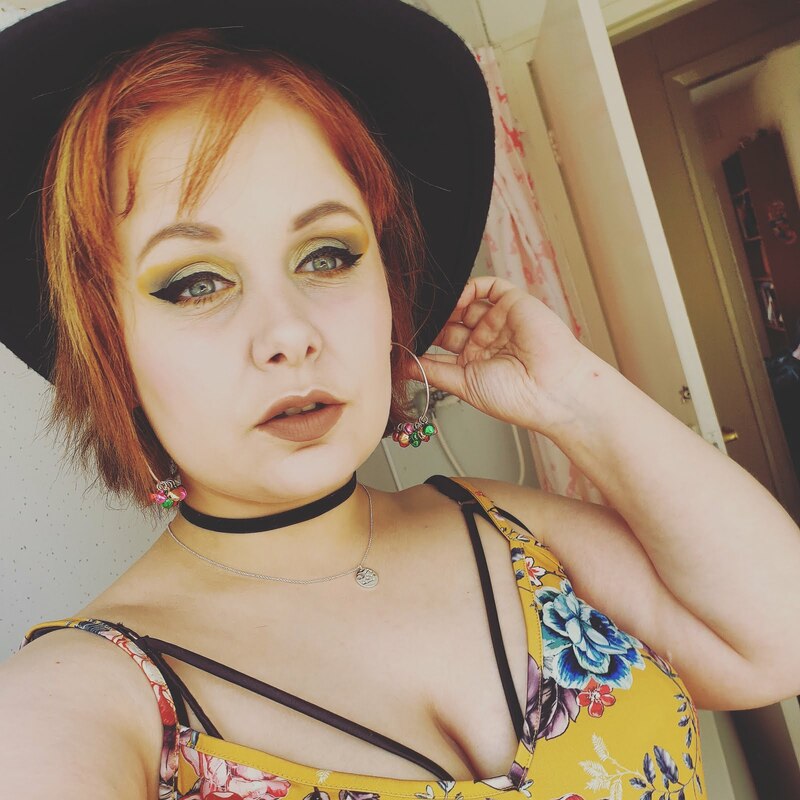 They are made by professional makeup artists and they have a variety of tempory tattoos to choose from including tattoos for hands, chest or wherever you fancy really! These tempory tattoos are perfect for anyone who has/wants or even someone who doesn't want tattoos but wants something temporary. 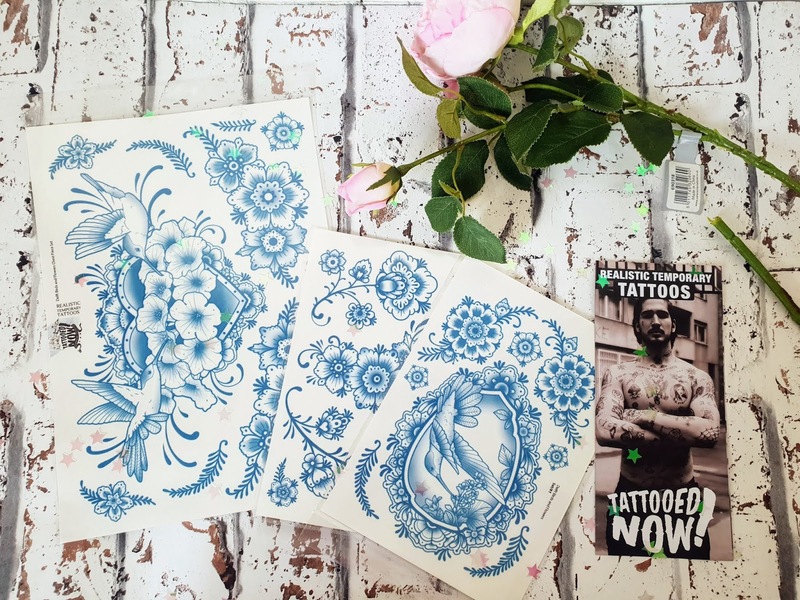 Tattooed now has appeared on many Influencers, YouTubers and even celebrities including Gerard Butler in Coriolanus. Tattoos are for life and removing them can be very expensive let alone painful with laser removal. I can understand why lots people don't want them etc but I just love mine and I think they look cool and for me, I think it shows a part of my character. I also love how artistic they look and I think it's amazing what tattoo artists can create for their clients. People's views about tattoos are varied as well and I have had a couple of negative comments including 'omg what are they going to look like when you're old?' a personal favourite from my stepdad, I just simply said they will look older like me LOL. Another being 'Cover up... those look bloody awful' UGH stop being so bloody judgemental please I love my tattoos and that's that. I think these are just brilliant if you are thinking about having tattoos but totally unsure if it would suit or not. That's why I personally chose a chest piece and a half sleeve because they are tattoos I have been thinking about getting for a while now but I was unsure whether I would suit them or not. After getting these and trying them out I have decided I think they look amazing on me and I will be planning to get something similar in the future. 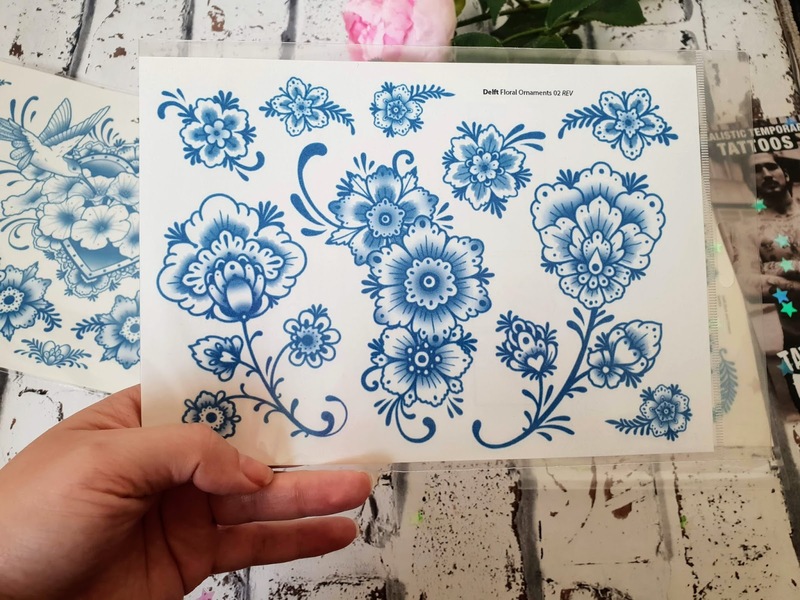 This is a delicate floral design with a Dutch pottery design with the light blue. This can be used as a half sleeve like I used it in the picture below or it can also be used as a fullback tattoo. My favourite tempory tattoo! 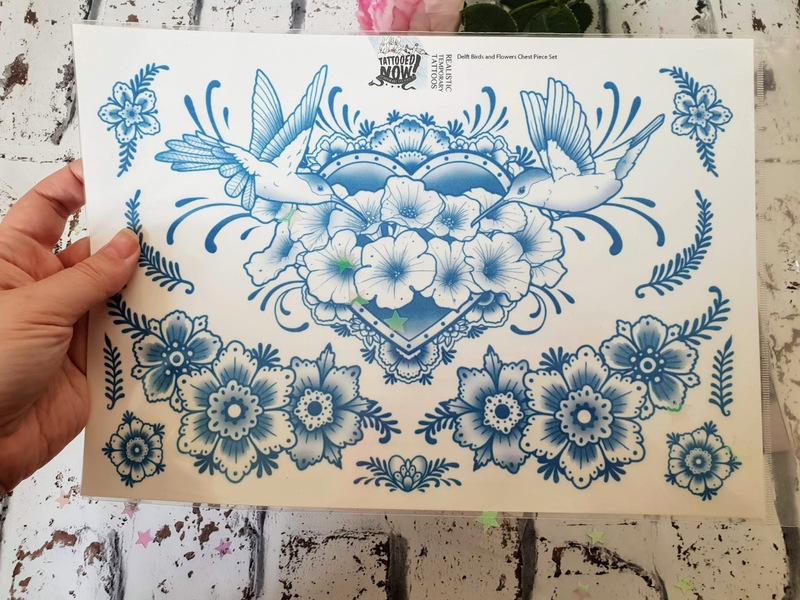 This is a big chest piece with a hummingbird in the centre with flower ornaments around it too. As above it's in the Dutch pottery design with the light blue. 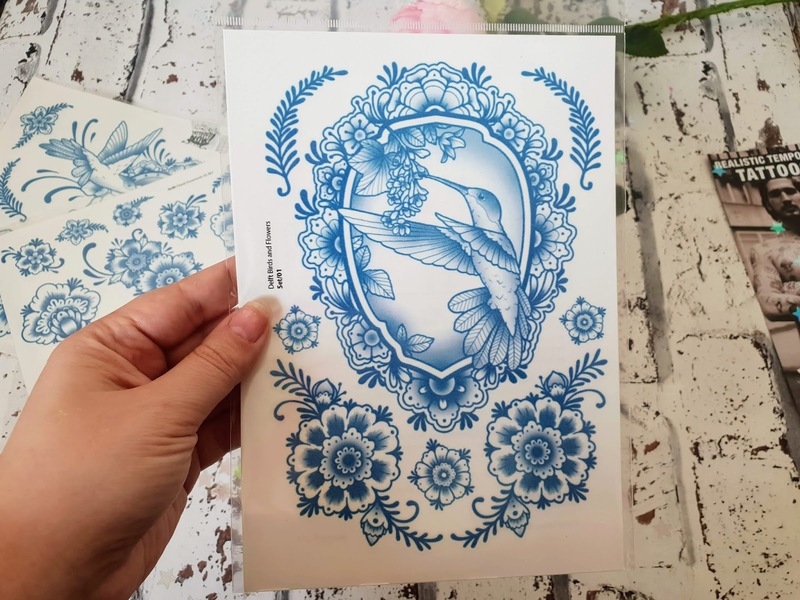 A hummingbird with lovely flower ornaments design with the delft theme of Dutch pottery design and light blue. They are a few more tempory tattoos like this in the collection. I used this to complete my sleeve and I was in love with it. The brand makes realistic tattoos that can be worn to experiment with different styles or to change up a look or even just to go out to party and be unique. These are worn by so many people and celebrities alike who want to try out tempory tattoos. The tattoos themselves are hand drawn and designed by skilled tattoo artists. They are slightly out of focus to create the effect that they are under the skin rather than just placed on top of the skin. Not only do they have a huge range of temporary tattoos to choose from but you can also request custom-made tattoos too, how cool is that? They may be only tempory tattoos but they can last up to 7 days which is brilliant. That means they last long enough for photos etc and also a short enough time to remove them without too much of a commitment. Applying these was very simple. All you need to do is place them on a clean area of skin you want them to be, then simply apply warm water on the back of it and leave for 30 seconds then remove gently and voila, you have an amazing tempory but realistic looking tattoo. My temp tattoos lasted 3 days before they started to fade away. It took a little longer than 7 days for them to completely fade. I would 100% buy them again because they are so much fun and most of all look realistic! I will be getting the Skulltress Collection next time that's for sure. 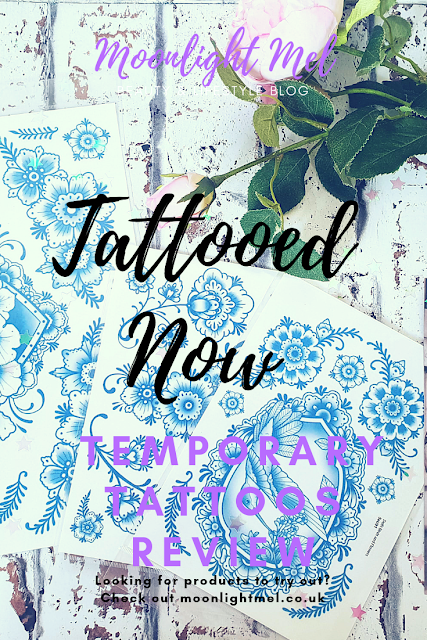 If you would like to know more about this amazing company then check out their Tattooed Now website where you can find out more about the company and also see what other tattoos they have to offer. Have you got any tattoos? If so what do you have? These really do look so realistic! Especially if it is something you want tattooed you can see what it would look like! I've seen this brand popping up more and more recently and I think that they have a fab thing going, they're so realistic aren't they? The floral ones really suit you! OK so these look excellent?! I'm such a wimp and terrified of needles, so these seem perfect for me! I love them though, but I've never liked needles. So, I think these would be very cool to have as an alternative!